What’s Just As Important As Lollapalooza’s Headliners? On Tuesday, Greg Kot reported that Eminem, Foo Fighters and Muse are going to be the among the headliners for Lollapalooza 2011. But there’s something else that’s just as important for the fans to know and think about. We’re certainly in that time of year when major summer music festivals are announcing their official lineups and having fun with starting and stopping rumors. So it’s no surprise that Lollapalooza got in the game this week and leaked info to Kot about their headliners too. But after reflecting on what we did and didn’t like about Lollapalooza 2010, we started to see that there were elements and topics that need to be considered so Lollapalooza is more than just a great music experience. So in light of the partial unofficial announcement of Lollapalooza 2011 lineup, and since you’re going to be shelling out over $200 bucks of your hard earned cash, we’re wondering what’s in store for fans at Lolla this year. Will Perry Farrell, C3 Presents and the brand sponsors improve the Lollapalooza fan experience like they need to? Or will fans have no choice but to quickly assemble their own Lollapalooza Complaints Choir? What do you think of the unofficial lineup announcement? 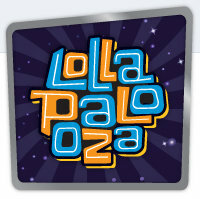 Besides the music and radius clauses, what else do you want to know about Lollapalooza 2011? What do you think needs to change or improve about the fan experience? Comment Contest: Win A Free Month Of MOG Music!